Hi, everyone! These are the first zipper pouches I made - can you believe that? 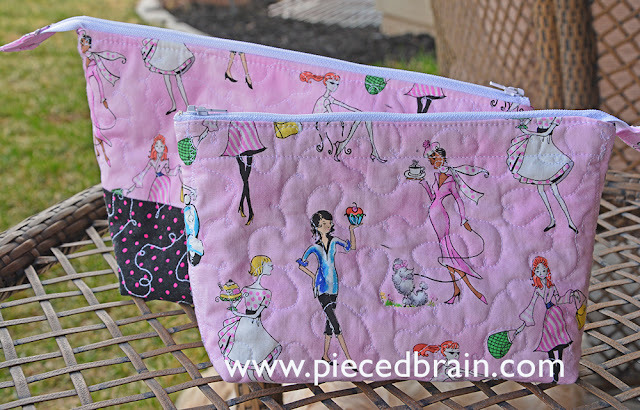 I have lots of zipper pouches saved on Pinterest but had not tried any. My friend Deb showed me one of hers and I loved it! She directed me to Noodlehead for the tutorial. I am so glad I started with this tutorial! It is very detailed, with great pictures, and the instructions for attaching the zipper are perfect. Yep, I was too excited to stop at one pouch. The other reason is that when I made the first one, the smaller of the two, I quilted the shell with the lining by mistake. 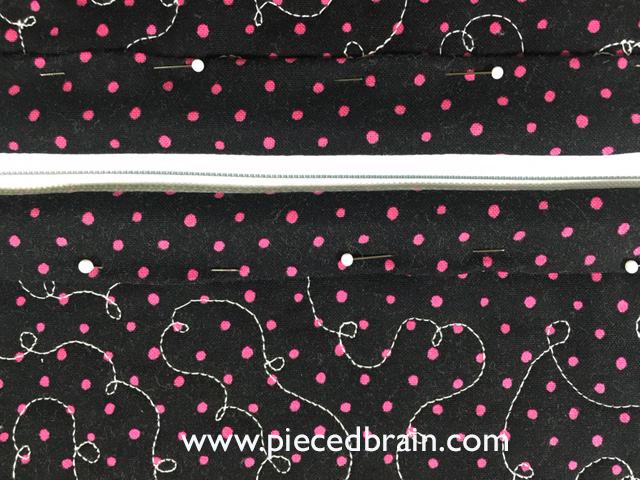 It was great to see the quilting through the lining, but it did not work when it came time to attach the zipper. 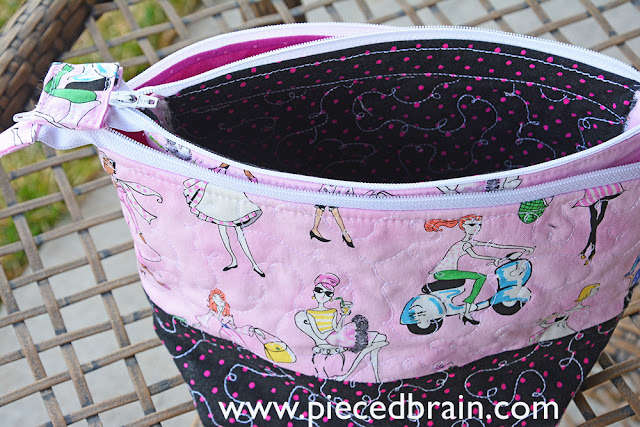 Noodlehead's method hides all seams (like I do on my bags), but the lining must be loose. Oh, well. The second one I made with the contrast fabric on the bottom and, yes, remembered to quilt only the shell. One thing I will change: next time when I make this middle size one I will square off the bottom using a 3.5" measurement instead of 4" as in her directions. I think the bottom turned out a bit too wide. (Black fabric looks more 'textured' when it comes in touch with batting. I had used the lint roller before the photo shoot, and will have to use it again and again...). Don't you love this fabric? Ideal for women's accessories. I dug deep into my stash to find it - a throwback to 2005 or 2006 which I kept away from my fabric scissors until this weekend. Marcus Brothers, any chance you will revisit this collection??? 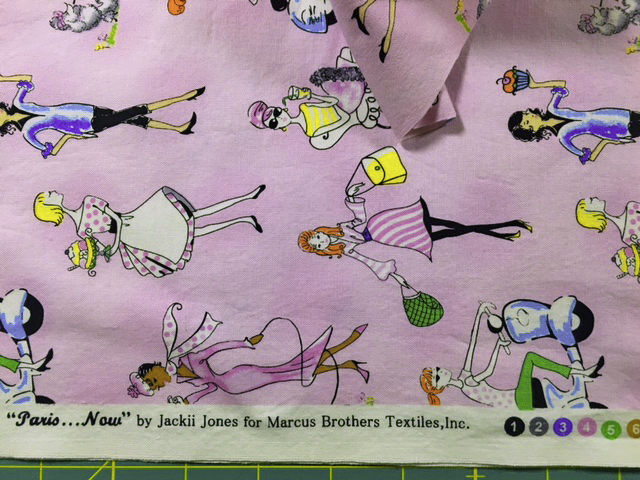 I stopped by their site and drooled at the fabric lines, though. 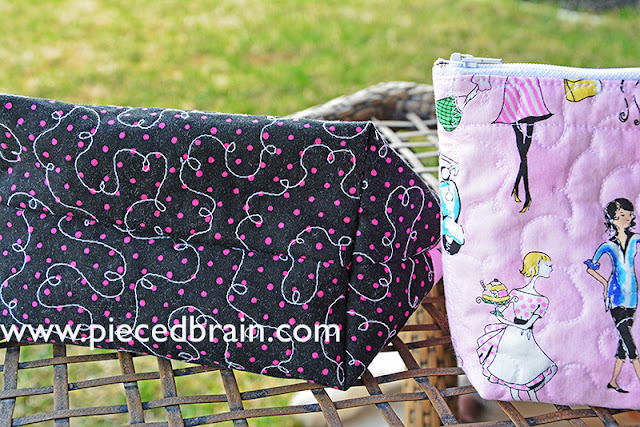 I pieced the pouches with Aurifil 50wt and quilted them with Aurifil 40wt. I am very happy with how they turned out and, now that I feel comfortable with the tutorial, will make many more of them. Deb did warn me that I would be addicted. Thanks, Noodlehead! I love the block tutorial on your giveaway page. I might use the idea for a new peg bag that I'm desparately in need of! I've just discovered your lovely blog through Crazy Mum Quilts! Nice to meet you. visiting from crazy mum quilts. Very cool bags.